Good nutrition is fundamental to the prevention of all disease, and that includes cancer. While a healthy diet rich in organic fruits and vegetables can help to protect us from all forms of cancer, there is no reason why we shouldn’t provide our bodies with a little extra ammunition for the fight. All natural nutritional supplements, taken regularly in the recommended dosages, can greatly reduce the risk of cancer for many men and women. These supplements may include vitamins and minerals, as well as plant extracts, healthful bacteria and fatty acids. When it comes to disease, an ounce of prevention is worth a pound of cure, and nutritional supplements are powerful weapons to be used in the prevention of cancer. 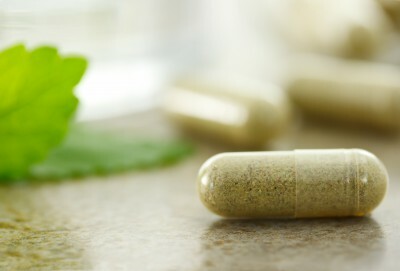 In this article we are going to focus on five nutritional supplements that have been shown to help reduce the risk of cancer in otherwise healthy men and women. Some of these supplements are well known to all of us, others are more obscure. But they all belong on the front line of the fight against cancer. Coenzyme Q10, more commonly referred to as CoQ10, is found in every cell in the body. It is used to produce the energy the body needs for cell growth and maintenance, and also acts as an antioxidant to prevent free radicals from damaging healthy cells. Research studies have linked cancers of the breast, colon, prostate and lung with low levels of CoQ10 in the bloodstream. Further studies have shown that taking regular doses of CoQ10 helps to neutralize toxins within the body, while encouraging the immune system to prevent the development of cancerous cells. CoQ10 is naturally found in food. It can also be taken orally as a nutritional supplement. The recommended daily dose is 200 to 600 milligrams. Beta Glucans are chains of sugar molecules found in the cell walls of bacteria, yeasts, oats, barley and mushrooms. Studies in Europe and Japan have demonstrated that Beta Glucans have the ability to seek out cancerous and precancerous cells, and mark them for easier identification by the immune system. This allows the immune system to quickly and effectively recognize cancerous cells and destroy them before they have the opportunity to multiply. Beta Glucans can be taken orally in dosages of 100 milligrams daily. The health benefits of vitamin D have long been recognized, unfortunately a great number of children and adults suffer from a deficiency in this vital nutrient. While it’s long been accepted that vitamin D promotes healthy teeth and bones, recent studies have proven it to be an effective weapon in the fight against cancer. Vitamin D activates proteins within the bloodstream that prevent the growth of tumors, and maintaining proper vitamin D levels can reduce the risk of cancer by up to 60%. The best source of vitamin D is through sunlight exposure and through diet, but some people may need to take a daily supplement to help them maintain optimal blood levels, in which case oral supplements may be taken daily. Omega-3 has been proven to be effective in boosting the immune system, and promoting the overall health of the body. Omega-3 fatty acids help to regulate cell growth, prevent damaged or mutated cells from multiplying, and inhibit the spread of cancerous cells to other parts of the body. Omega-3 can be found in walnuts, hemp seed, and flax-seed. It can also be taken as a daily supplement, in recommended dosages of 1200 to 5000 milligrams. Curcumin is the principle component of Turmeric, a popular Indian spice. Curcumin has been shown to disrupt cancerous cell growth, forcing damaged or mutated cells to die before they can multiply into a cancerous or precancerous tumor. Curcumin appears to be most effective in the prevention and treatment of colon cancer, though further research is being done to discern its effect on other types of cancer. Again, curcumin can be taken as a daily supplement, up to 8000 milligrams per day. All supplement dosages should be confirmed with your natural health physician. Cancer can be a devastating disease, and the treatments offered by conventional medicine are typically harsh and invasive, carrying an array of unwanted side effects. The best treatment for cancer remains prevention, and by adding some carefully chosen nutritional supplements to the diet it is possible to greatly reduce our risk for developing cancer.